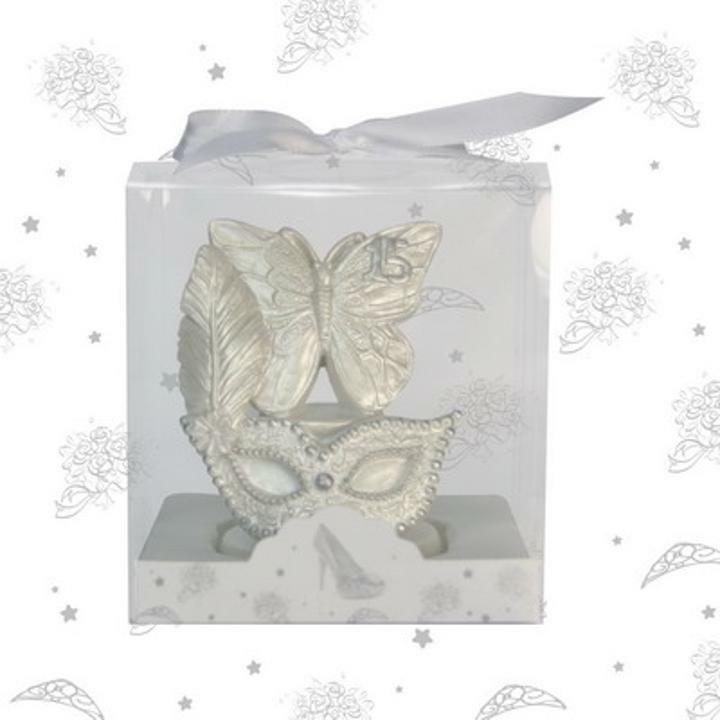 This Butterfly on Top of Mask forQuinceañera Favor offers another great way to enhance your special day. Browse our huge selection of incredible party favors that will help make your Quinceañera or Sweet 16 party an event to remember! Our event favors includes figurines, candles, frames, centerpieces, giveaways, and much more! 3.25 in. x 3 in. x 3 in. L: 3.25 in. W: 3.0 in. H: 3.0 in.